Social media has achieved the level of enterprise technology. It’s supporting entrepreneurship endeavors like talent acquisition, sales and marketing, customer service and even customer retention. It’s also helping businesses to have a sound brand presence. Discover top 5 secrets of social media app development that can help you derive the most from your investment pushing the business ROI. Step into the shoes of your customers to understand what they like and what they don’t (this is more important). This is a homework that you and your social networking app development team should do before getting started with the design or development process. The user experience is a blend of aesthetics and functionalities. Make sure your app has got platform-specific user interface and controls. To do justice, your social media app developers and UX-UX designers shall work in harmony keeping the project’s requirement at the center. In the data-driven economy, it’s a must that you read what actions users take on your app and strategize your app update and enhancement accordingly to deliver a better user experience. Hence, consider leveraging the capability of a good analytics tool. Also, it’s a wise concept to harness the data or intelligence gained from your website, blogging platform or other digital properties to make your app more relevant to the audience. Abstain from using entry-level, off-the-shelf application templates to speed up the social media app development process. Think to build your app from scratch. Though it doesn’t mean that you should ignore what and how your competitors are doing it. Keep in mind the competition, but try to evolve your app development strategy so that you can stand out in the marketplace. In the course of innovative social media app design and development, make sure that technology stays aligned to the need of your business. Your concept might be revolutionary, but if your app fails on the metrics of user experience, it will serve no purpose and might spoil your years of reputation. Hence, it’s better to check for inconsistency in user experience, performance, security and other guidelines as mandated by the OS platform owners like Android, or iOS before making your app available on app stores. Major app distribution platforms do offer you a chance to go with beta testing before making the app available to the mass audience. 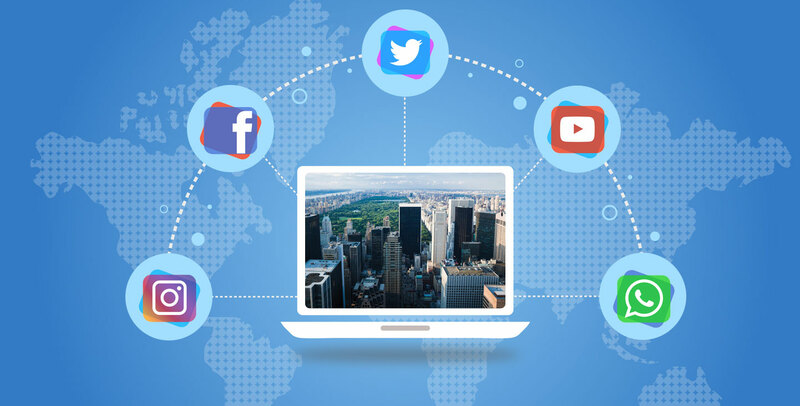 Considering the profound impact of social media on the business bottom line, if you have been looking for social media app development, you have come to the right place. At, Root Info Solutions, we build engaging social media apps in pursuance of your project requirements.